Our mission is to inspire healthier homes thru better water. Since 2004, millions of families have trusted Primo to provide high-quality water for their homes. We’re working to help families drink more water, better water, every day because Primo is one decision towards a lifetime of health. 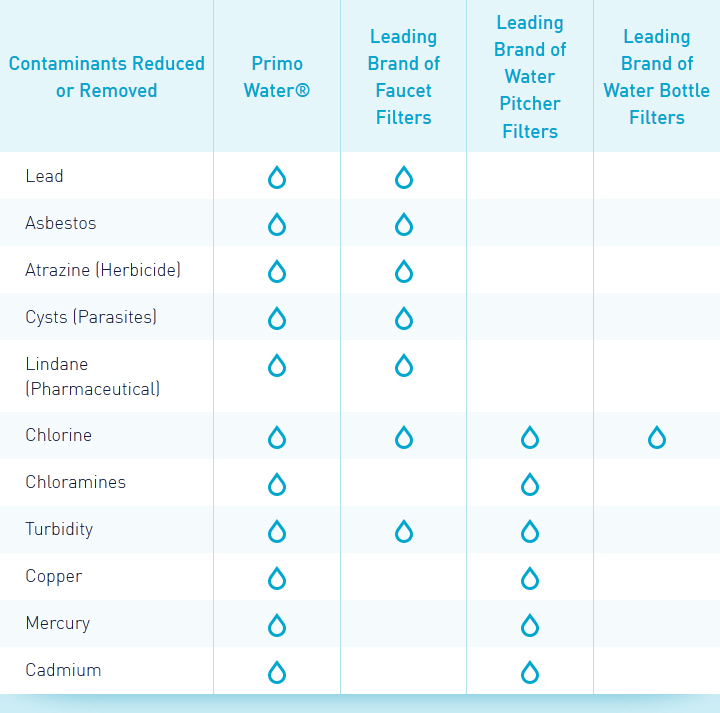 Water quality is a common concern among many families. *Source: As published at https://www.brita.com/why-brita/what-we-filter/. 10/6/2016. With instant access to ice cold, piping hot, or room temperature water, Primo makes it easy for your family to reach for a healthier choice. Choose from dispenser options in a variety of styles and finishes, then grab a bottle of our Pre-Filled Exchange Water or fill your own bottle at our Self-Service Refill Stations. Primo makes it easy and affordable to lead a healthier lifestyle.